A VR system provides real-time viewer-centered head-tracked perspective with a large angle of view, interactive control, and binocular (stereo) display. Head Mounted Displays (HMDs) like the Oculus Rift achieve these features by using small display screens that move with the viewer, close to the viewer’s eyes. The CAVE was developed to overcome some of the limitations of HMDs, especially for scientific and engineering applications. The CAVE makes use of large, fixed screens more distant from the viewer. This minimizes the encumbrances carried or worn by users and allows multiple people to share the VR experience. In addition to the ability to share the virtual environment among multiple users, the CAVE has presented other benefits. For instance, the CAVE is immersive, but it doesn’t completely isolate the users from the real world. Real world isolation can be highly intrusive and disorienting. The viewer is still aware of the real world and may fear events such as running into a wall. Seeing one’s own body also decreases the chances of nausea. It has also been shown that tracking errors and tracker latency in the CAVE are less distracting then in HMD systems like the Oculus Rift. This is due to the fact that the projection plane does not move with the viewer’s position and angle as it does in a HMD. A typical Visbox C4 CAVE is a 12’w x 10’d x 7.5’h theater, with images rear-projected onto three of the walls which are screens. A fourth projector projects onto the floor surface from above. The four displays are driven by one computer with Nvidia Quadro graphics. Each of the four displays has full workstation resolution (1920×1200 and up) and displays 3D stereoscopic images at 120 Hz (60Hz per eye). 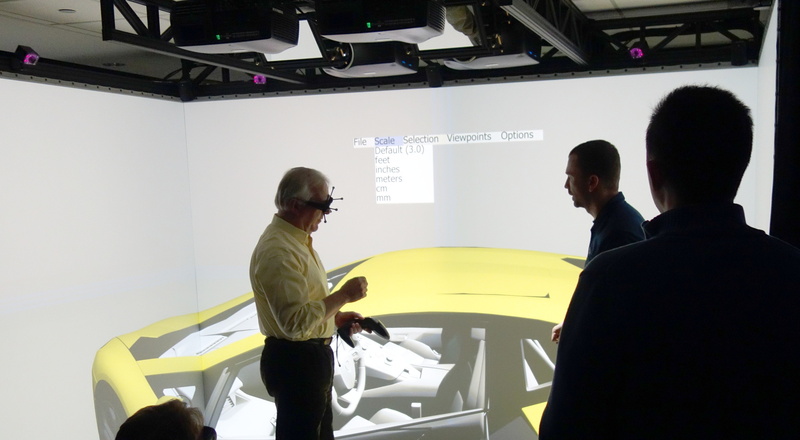 The result is a room-sized immersive 3D visualization system that allows a small group of users to collaboratively examine and manipulate complex 3D models with natural interaction and human 1-to-1 scale. The CAVE is ideal for data exploration and design review applications. Engineers, scientists, designers, and managers can work together in a CAVE for several hours in comfort. They can talk face-to-face, see each other’s body language, step out easily to take a break or have a drink, and use other devices (e.g. tablet, smartphone, pencil and paper) concurrently. 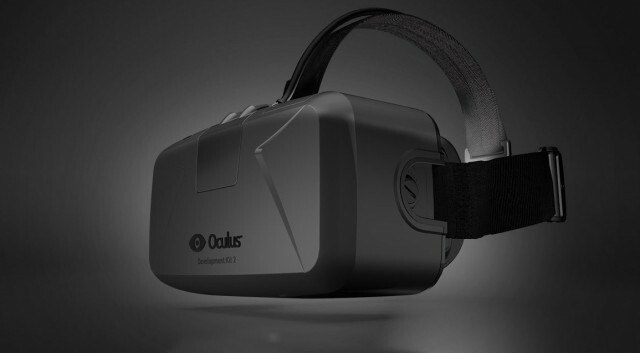 Related Article: Don’t be blinded by the Oculus Rift (Matthias Aust).